When it comes to how we run our business and how we make our burgers, “No Nonsense” is our motto. Always straightforward, we choose only the best ingredients; such as our Premium Wagyu Beef, sourced from a 4th-generation family-owned butcher. Our experienced hospitality-experts are trained to come to work ready to get Down-to-Business, and excited to provide Down-to-Earth service and an upfront, clean, and genuine atmosphere. Matter-of-fact, we are dedicated to providing the rarity of No-Nonsense Burgers, No-Nonsense Service, and a No-Nonsense Dining Experience to every guest we serve. NEWS: WE ARE NOW FRANCHISING! If you are interested in owning one or more NN BURGER® franchises, please apply HERE. We will contact you with details and answer any questions. We were voted “BEST BURGER” in statewide competitions (6 straight years). Our custom blended fresh (never frozen) Beef comes from Schweid & Sons – a 4th generation family-owned purveyor of high quality beef. Our automated Hand-Washing machine washes hands in 10 seconds. We take the necessary time to individually Hand-Craft each Burger. Our Decadently-Topped Freakshakes are Hand-Spun to order. 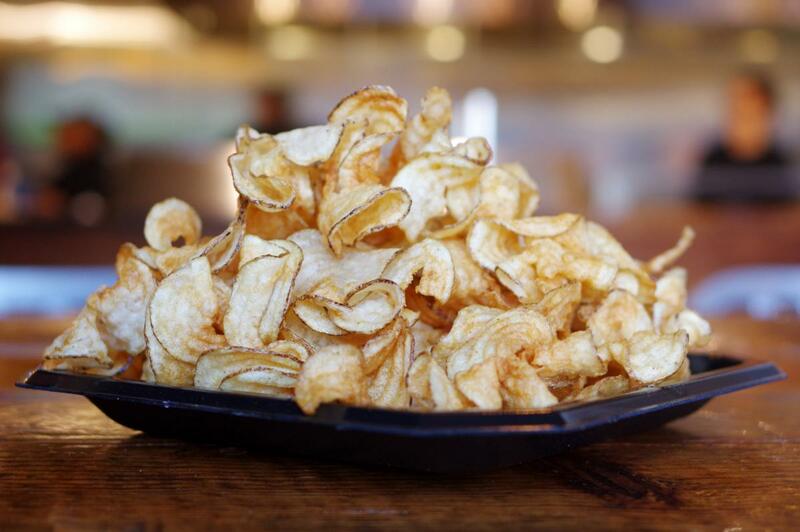 Our Twisters Chips are made from Whole Ribbon-Cut Fresh Potatoes. Our Local Craft Draft Beers are topped with a unique Frozen Beer Head to keep your beer ice cold. Our Burger Toppings are prepared fresh Daily In-House. Our Brioche Burger Buns are Fresh-Baked Daily. Our Outdoor Patios are Dog-Friendly. Youth Sports Teams receive a 10% Discount. “NN” Burger Logo “Swag” Items Are Now Available at The Counter. Our patio tables and benches are constructed with wood from retired fishing boats. Our tables are constructed from re-purposed wood. We proudly support 12 Charities and Organizations via our “365 Days of Giving” Program. We are Open 7 Days and 7 Nights.